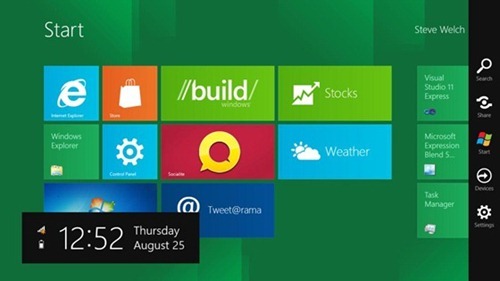 Microsoft unleashed Windows 8 at the BUILD keynote yesterday, which they referred as â€œWindows Reimaginedâ€. Windows 8 introduces new awesome features, a completely new Metro style interface, App Store, provides developers the platform and tools to create rich app experiences, and is designed to offer a new touch-optimized interface. Now that Windows 8 Developer Preview Build is available publicly for everyone, itâ€™s certain that millions of people would try it out, specially the developers. So, if youâ€™re one of those early beta tester, then you might want to check the official list of Windows 8 keyboard shortcuts. Here are 18 new shortcuts to quickly access some of the new advanced features included in Windows 8. We will update this list as we discover new shortcuts in Windows 8.